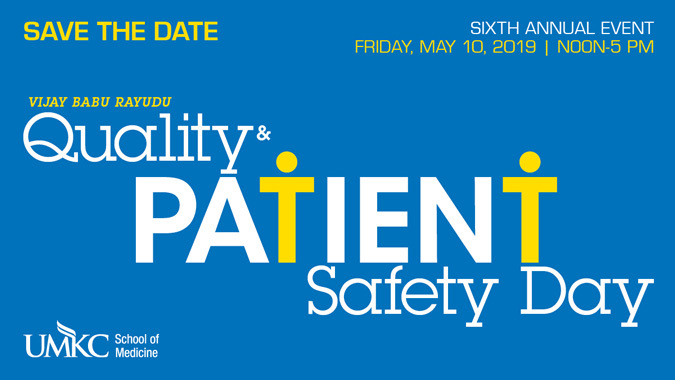 Students, residents, fellows in the School of Medicine are invited to submit abstracts of quality improvement and patient safety projects for presentation. Abstracts will be judged by a faculty committee with a few top abstracts selected for oral presentation and the remainder for poster presentation. Poster presentations will be judged for awards the day of the conference. Background. The background provides a good argument for the need of the QI project and describes the significance of the project relevant to clinical practice. Methods. The methods are described in detail and there is evidence of systematic analysis of error and/or approach to improvement. Data and analysis. The data analysis plan is appropriate to the purpose of the QI project. The data are complete and clearly presented in the poster. Value and conclusions. The conclusions are appropriate given the results. There is discussion of limitations, sustainability and/or application to other institutions. Presentation. Presenter demonstrates in-depth understanding of the topic, answers questions with confidence, and is open to feedback. Abstract titles should match the title of the oral/poster presentation and abstracts should be no more than 350 words in length (excluding title and references). Student presentations should be approved by the faculty mentor in advance. Student, Resident and Fellow abstracts are due by midnight on Monday, April 8, 2019. No late submissions will be accepted. Applicants will be notified by email by 4/27/2019 if their presentation is accepted. Faculty mentors will also be notified. Dr. Clancy serves as the Executive in Charge, Veterans Health Administration, with the authority to perform the functions and duties of the Under Secretary for Health. She was previously the Interim Under Secretary for Health from 2014-2015. She is a highly experienced and nationally recognized physician executive. As the Executive in Charge, Dr. Clancy directs a health care system with an annual budget of approximately $68 billion, overseeing the delivery of care to more than 9 million enrolled Veterans. VHA is the largest integrated health care system in the United States, providing care at 1,243 health care facilities, including 170 VA Medical Centers and 1,063 outpatient sites of care of varying complexity (VHA outpatient clinics) to over 9,000,000 Veterans enrolled in the VA health care program. VHA is the nation’s largest provider of graduate medical education and a major contributor to medical and scientific research. More than 73,000 active volunteers, 127,000 health professions trainees, and more than 306,000 full time health care professionals and support staff are an integral part of the VHA community. 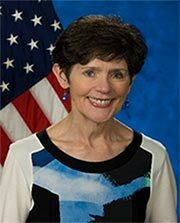 Prior to her current position, she served as the Deputy Under Secretary for Health for Organizational Excellence overseeing VHA’s performance, quality, safety, risk management, systems engineering, auditing, oversight, ethics and accreditation programs, as well as ten years as the Director, Agency for Healthcare Research and Quality. In 2015, Dr. Clancy was selected as the Outstanding Federal Executive of the Year by Disabled American Veterans. Dr. Clancy, a general internist and health services researcher, is a graduate of Boston College and the University of Massachusetts Medical School. She holds an academic appointment at George Washington University School of Medicine and serves as Senior Associate Editor, Health Services Research. Dr. Clancy has contributed to eight academic text books and authored, co-authored and provided invited commentary in more than 225 scholarly journal articles. She served as a member of the National Quality Forum, Board of Directors, as the Chair of the AQA Alliance and served on the Board of Governors, Patient-Centered Outcomes Research Institute. An elected member of the National Academy of Medicine, Dr. Clancy was most recently presented with the 2014 Quality Champion Award, National Committee for Quality Assurance and was also named as Honorary Fellow, American Academy of Nursing. Nyaluma Wagala, MS5; Emily Boschert, MS4 – Alcohol Intoxication and Orthopedic Trauma: Who Provides the Counseling? Omar Abughanimeh, MD; Guy Fogg, MD; Bo Song, MD; Laith Numan, MD; Moustafa Younis, MD; Solomon Kim, MD; Ayman Qasrawi, MD; Noel Torres-Acosta, MD; Kristin Gillenwater, MD – Improving Diabetic Retinopathy Screening In Internal Medicine Clinics. Salvador Rios, MS6, Amy Stubbs, MD; Monica Gaddis, PhD; Jason Hurt, MD; – Are Women Diagnosed with ACS Under-triaged? Nick Evans, MD; Monica Gaddis, PhD – A Survey to Determine Knowledge of Mass Casualty Policy by Emergency department Physicians at Truman Medical Center. Punita Grover, MD; Eslam Dosokey, MD; Nikita Maniar, MD; Tarana Gill, MD; Siva Taduru, MD; Ashley Tatum, MD; Ginger Jenkins, PhD; Sheena Spielberg, MD; Julie Banderas, PharmD; David Wooldridge, MD; Kristin Gillenwater, MD – Standardizing the process of ordering screening mammograms in primary care clinics. Dr. Niraj Sehgal is a hospitalist, a Professor of Medicine, and the Vice President & Chief Quality Officer for UCSF Health. Over the years, his academic interests have focused on improving healthcare systems by leading initiatives that foster teamwork & communication, promote a culture for learning and improvement, and support workforce development as key strategies to deliver better patient outcomes. His past leadership roles include directing a hospital medicine service, developing a faculty development program, directing a portfolio of physician leadership programs, leading quality/safety in the Department of Medicine, and serving as an editor the federally-funded patient safety website, AHRQ Patient Safety Network. Many of these programs led to peer-reviewed publications and opportunities to speak nationally about quality, safety, and models for academic engagement, particularly around methods to cultivate a closer marriage between the clinical and educational enterprises. Niraj graduated from Washington University in St. Louis, earned his medical degree from Rush University in Chicago and a Master’s in Public Health from UC Berkeley. He was a resident and chief resident at Stanford University before completing a health services research fellowship at the Stanford Prevention Research Center. 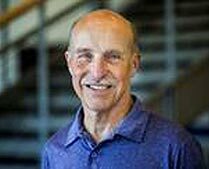 He was later a selected fellow of the California Healthcare Foundation Leadership Program and also recognized for his teaching and mentoring excellence with induction into UCSF’s Academy of Medical Educators. Niraj is a Chicago native and a diehard Chicago sports fan though he and his family now prefer the outdoors of Northern California over the Midwest winters. Sanju Eswaran, MS5, Nathan Harris, MD, Mark Bernhardt, MD — Is Scheuermann’s Infraction of Adolescence a Predisposition to the Development of Diffuse Idiopathic Skeletal Hyperostosis Syndrome as an Adult? Jeremy Avila, MD, Molly Uhlenhake, MD — An assessment of nonuse of the online patient portal at Truman Medical Center’s Red Clinic. Isadore Tarantino — Screening for Obstructive Sleep Apnea (OSA): How Effective is the Modified Mallampati Scoring Method? Tejal K. Gandhi, M.D., M.H.P., C.P.P.S. Eva Omoscharka, Priya Skaria, Kamani Lankachandra — Importance of follow up in patients with Papaniculaou test findings of endometrial cells. A Truman Medical Center experience.